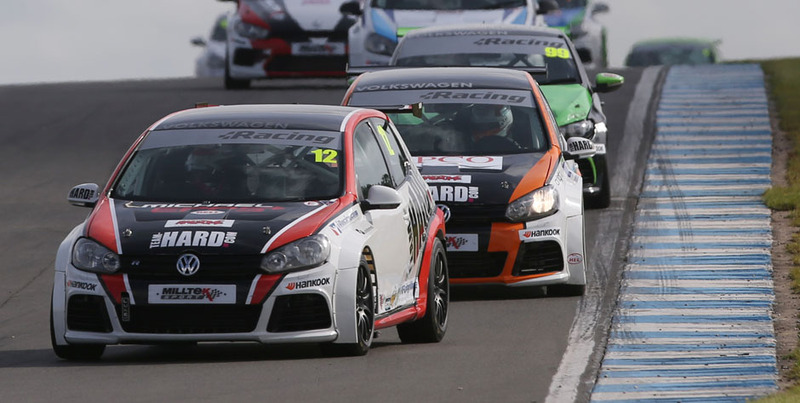 Michael Epps notched up his fourth race victory of the Milltek Sport Volkswagen Racing Cup season at Donington Park this morning, despite his Golf GTI crossing the finish line only in third place… A results exclusion and a time penalty for his Team HARD compatriots Bobby Thompson and Howard Fuller were Epps’s passport to the top step of the podium. 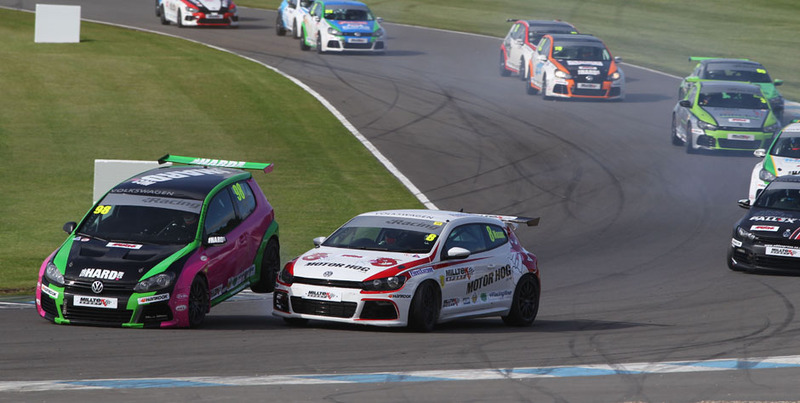 There was first-lap drama for both championship leader David Sutton and his closest title challenger Aaron Mason – both were punted off, with Mason struggling on to the finish in a damaged Scirocco and Sutton retiring to the pits. There was drama all the way through the race, with Mason taking off at a lick from pole position, closely pursued by Team HARD’s Robert Barrable. As they rounded the Old Hairpin, Barrable attempted a down-the-inside manoeuvre to wrest the lead from Mason; their cars touched and both spun into the gravel. Mason managed to get going again, albeit down in 16th, with Barrable cruising to the pits and retirement. Robert was later excluded from the results for his part in the accident. Later on the opening lap, the other chief title contender, Sutton, was in the wars also – shunted into a spin as he exited the Melbourne Hairpin by the pursuing Team HARD Golf of Bobby Thompson. 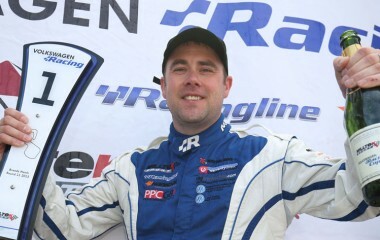 Phil House (PH Motorsport Scirocco) took over in front after the demise of Mason and Barrable but lost out to Team HARD man Howard Fuller on the second lap, just before the warning flags flew and the Safety Car appeared on track to neutralise the race while Simon Tomlinson’s beached Golf was retrieved from another gravel trap. Fuller held sway at the restart from House, Phil chasing for all his worth for two laps before misjudging his braking into the Melbourne Hairpin on lap seven. “I forgot I was carrying 60kg of success ballast!” said House. 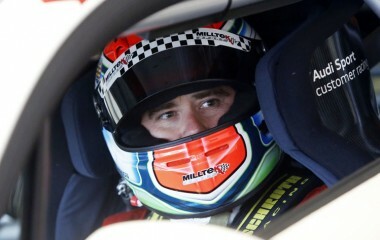 “I got excited and took my usual braking point rather than braking earlier like I should have. 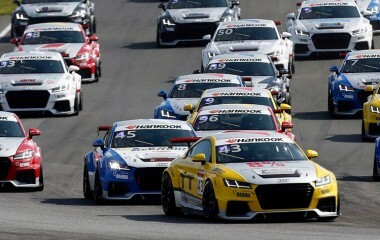 It’s a shame but it was brilliant fun out there.” House slipped to fifth as a result of his lock-up. Fuller’s next opponent was Thompson, who narrowed Howard’s lead from 1.2s to a tenth going into the penultimate lap. Bobby nosed ahead at Coppice only to lose out at the Esses, Fuller then holding the lead all the way around the final lap until the final hairpin, where he took a wide line and Thompson nipped through on the inside to cross the line in front of Fuller by a whisker. Epps took the finish third with House fourth. The results did not stand, however… Thompson was excluded from the race for his part in the lap-one incident with Sutton, and his team-mate Fuller was docked five seconds for exceeding track limits. When the dust settled it was therefore Epps who claimed the victory, his fourth of the season, with House second and Fuller in third. Lucas Orrock, carrying a heavy success ballast load, duelled with Joe Fulbrook for the duration of the race. 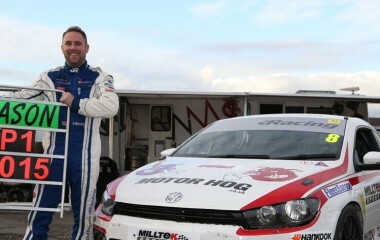 KPM Scirocco driver Orrock was aiming for fifth or sixth – which would have given him a front-row start for the reverse-grid race – but with Thompson’s exclusion was bumped up to fourth, with Safe and Sound Golf GTI driver Fulbrook, the outgoing champion, close behind for fifth. 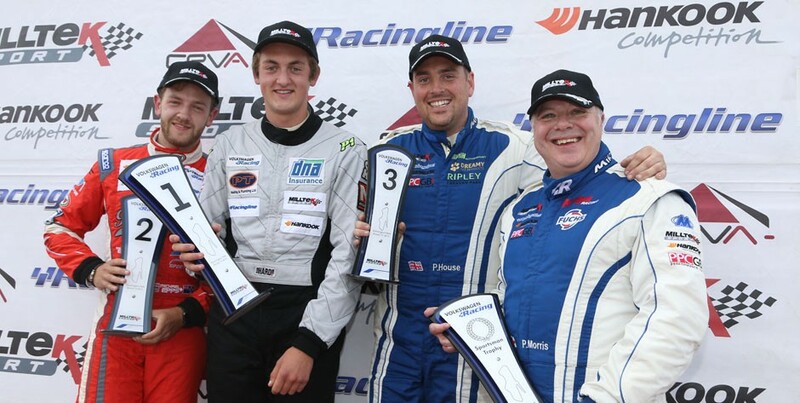 Team HARD’s Simon Rudd claimed his best finish of the season in sixth, ahead of Jack Tully’s Cooke and Mason Scirocco; Walker-Tully was another to be docked five seconds for exceeding track limits. After his first-lap off, Mason battled through to finish eighth. Another season-best result went the way of Mark Smith, 10th in the InFront Motorsport Scirocco, ahead of a trio of 5sec-penalised drivers: Joe McMillan, Simon Andrews and Pete Littler. Sixteen-year-old Damani Marcano, who impressed in qualifying to set 10th-fastest time, lost a number of places on the opening lap but battled back to 14th at the line for Team HARD. 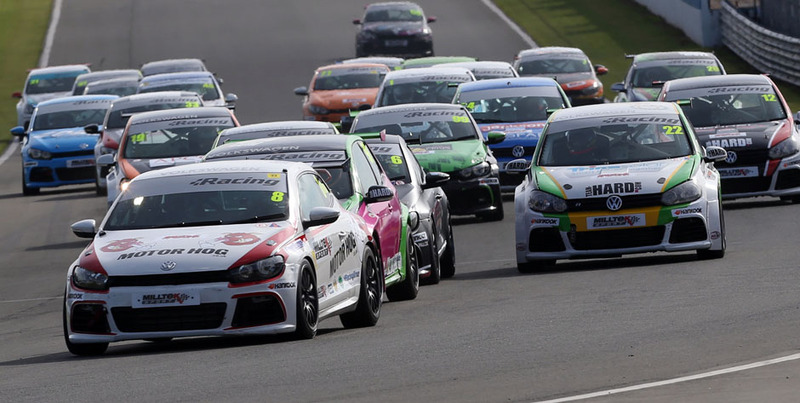 Championship returnee Cameron Thompson completed the top 15 in his Maximum Motorsport Scirocco. The scene is set for a dramatic three-way shoot-out for the championship title between Sutton, Mason and Orrock. With dropped scores taken into account, Sutton has a two-point lead over Mason with Orrock a further eight points behind.